I want nothing more than to drift off to a peaceful, dreamless sleep. That would be absolutely heaven! I can’t, though. My head is full of thoughts. Some quite troubling, others just buzzing. Oh, I just want peace! They say if you put it out there, it’ll happen. If the universe is wise enough to grant wishes, it certainly can do with the muddled ones too. I wish for friendship, men, women, children, and for happy lives. Floating islands; they are kind of deceiving. They might seem permanent, but when the anchors are weighed, they’re soon on their way to another place. 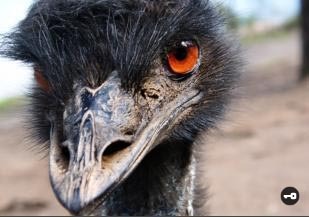 “Have you seen this emu? This is the news of today, and I was just wondering if I was still where everybody expected me to be. I would like to run away on several occasions, but strangely enough, not today. I do, however, recognize the look. It’s the one I’m giving myself in the mirror every morning. Like I just don’t care, but care enough to be slightly cranky. Because nothing ever goes according to plan. I’m going to bed with a headache. I really do hope you find it. And I hope everything is fine. It’s easy enough to understand. On the verge of inevitable. And yet, it’s always the hope. The feeling that they will put enough back. Dominus et Domina Dursley, qui vivebant in aedibus Gestationis Ligustrorum numero quattuor signatis, non sine superbia dicebant se ratione ordinaria vivendi uti neque si paenitere illius rationis. I’m a sucker for Latin. I’m not sure if it’s because I don’t understand it, yet get the feeling I’m getting the essence. I didn’t know the meaning of the lyrics when I first heard it, but the meaning was beautifully transmitted anyway. I remember listening to a CD with Celtic songs, and among all the celtic lyrics, I heard “Deus ibi est”. I suddenly realized that even though I hardly know any Latin, I could sort of recognize each single word in a way I really can’t in say Russian or Irish. It made me feel at home in a totally different way than any other language I don’t know. And I don’t really know why. Maybe just because Latin actually is very much present in almost every European language. Even the Germanic ones. Maybe that’s one of the roots I actually have.